Apple's iPad Mini will be available for purchase this Friday, and the first batch of reviews has hit the Internet. They seem to agree on a few points: It's built?like an iPad, the screen is a step down, and it's the most hold-able tablet yet. Walt Mossberg of the Wall Street Journal says, "You can think of it either as a low-cost, compact cousin of the full-sized iPad, or a costlier, larger-screen alternative to the 7-inch models." And indeed, whether the iPad Mini is a luxury or a?bargain depends on what you're considering as alternatives. The competition at the $200 level is formidable: Google's Nexus 7, Amazon's Kindle Fire, and Barnes & Noble's Nook HD. All offer higher-resolution screens and similarly small form factors. Yet the iPad mini costs $129 more to start. What does it have that the others don't? According to pretty much every reviewer: The look and feel. "If the iPhone 5 is reminiscent of jewelry, the iPad mini is like a solidly made watch," says The Verge. "When you hold it, it almost feels like you?re just holding a sheet of glass," says TechCrunch. "If there were an industry award for Tablet You Can Most Easily Envision Holding For Extended Periods of Time, the Mini would be a runaway winner," says Time's TechLand. And Fox News gives perhaps the best compliment of all: "When I picked it up, I was reminded of the first time I held a first-generation iPhone." Clearly, the fit and finish?of the device is superior ? which should probably be expected from something that costs half again as much as the devices it's being compared to. And then there's the fact that it runs a ton of iPad apps out of the box ? a big selling point for people who don't want to worry about such things when migrating to a new device. "Nearly every larger iPad app I've thrown at it feels usable and comfortable at this smaller screen size," CNET assures us. And the famous iPad battery life is intact, too: Engadget's tests put it at 12 hours and 43 minutes, the best out of all the tablets they've measured. One thing every reviewer acknowledges but for which?no one seemed inclined?to ding Apple is the screen. The 1024x768 resolution is the same as the original iPad's, yet not only do the iPad Mini's cheaper competitors now?have higher-res?screens, but many smartphones do as well! Reviewers seem to let Apple off the hook by saying that since the screen is smaller, those pixels are packed more closely together than on the iPad 2 or original model. "Nobody's going to complain about the sharpness," suggests David Pogue at?the New?York Times, but that's probably?not true. Millions have grown accustomed to the sharp displays since the iPhone 4 debuted in 2010, and the iPad Mini's big brother was a huge hit specifically because of the "sharpness" of the Retina display. And while reviewers rightly?praise the Mini's larger 7.9-in. screen in comparison to its 7-in. competition, what they're saying about screen real estate isn't strictly true. Apple's tablet may have more square inches, but the 1440x900 pixel display of the Nook HD, though smaller physically, can display more words, more clearly ? and the same is true to a lesser extent of other 7" tablets.? Giving Apple a pass on the screen is a bit questionable, but in fairness to the iPad Mini, its screen is technically more sharp than the?iPad 2's, and by all accounts, this miniaturized iPad is excellent in everything but resolution. Should you buy it? Screen gripes aside, the sturdy, pretty iPad mini definitely allows you do do a few new things: read one-handed, for instance. Being small and light also makes it a good choice for kids.? To?really know whether it's worth it, though, it might be a good idea to see the iPad Mini with your own eyes. Of course, once you pick one up, as the reviewers note, you may find it hard to put down ? ?regardless of your reservations. If you choose to fight the urge, though, no one will blame you. Given Apple's typical pace in improving its devices,?it seems likely that we'll see a Retina-display Mini by this time next year, if not sooner ? and maybe at a more competitive price. Devin Coldewey is a contributing writer for NBC?News Digital. His personal website is?coldewey.cc. NEW BEDFORD, Massachusetts (Reuters) - Residents of the coastal areas of Massachusetts and Rhode Island ventured out on Tuesday to clear up the wreckage caused by powerful storm Sandy, which flattened trees, damaged homes and left hundreds of thousands in the region without power. Unlike in the greater New York area, where Sandy brought rising seas that flooded Manhattan and parts of the New Jersey shore, New England's misery came mostly from the storm's heavy winds. In the former whaling community of New Bedford along Massachusetts' southern coast, streets were littered with debris and more than 250,000 customers were still in the dark due to downed power lines. "It was frightening when the storm picked up, you could really feel the winds," said Janet Freedman, a 72-year-old academic, as she surveyed a massive tree that had fallen in front of her home. "We used to have three beautiful trees, now we have one and a half." The decades-old tree fell into another tree on her property on Monday afternoon, damaging her car and knocking out the electricity, but sparing the house where her husband was inside recuperating from an injury. "I can't bear to think about what would have happened if the other tree weren't there," Freedman said. Her neighbor, Gil Perry, a stockbroker, said he had been more worried about rising waves from Buzzards Bay, a few hundred feet from his home. "The water got higher than I'd ever seen before," said Perry, 65, who has lived in the town for decades. "I'm glad we didn't get flooding." Jim Thurston, a 36-year-old electrician in Tiveton, Rhode Island, stood in front of his home contemplating a tree with a roughly 18-inch-thick (45-cm-thick) trunk that fell during the storm, knocking out power to his home and neighbors. "It was kind of exciting when the winds started gusting and the trees started going down," Thurston said. "I guess we're lucky nothing hit the house." Local landmarks hit by the storm included a boat house at the Hyannis Yacht Club, where the late Senator Edward M. Kennedy had often moored his racing sailboat Mya. The structure was washed into the harbor by the storm's wind and waves. Sandy made landfall farther south in New Jersey on Monday night, causing widespread flooding in the state and neighboring New York. At least 30 people were reported killed along the eastern seaboard. Massachusetts Governor Deval Patrick said he was grateful that the storm's damage had not been worse. "There is a roof here, siding there ... but no place where there is devastation," Patrick told reporters at the state's emergency command center in Framingham. Rhode Island Governor Lincoln Chafee toured hard-hit coastal areas of his state. Heavy equipment is being moved into affected areas to help clean up the debris, said Annemarie Beardsworth, a spokeswoman for the state's emergency management agency. JCMR Technology, Inc. expands industry expertise, local and global footprint, and talent with the addition of 4 new resources to the Firm. JCMR Technology, Inc., (http://www.JCMR.net) announced today that 4 new resources have joined the Firm to further develop the growing portfolio of regional and national accounts. Each new team mate comes with a wealth of experience within the Technology Consulting Industry, having spent a combined total of 30 plus years cultivating their skills. Mary Bowman, Matt Kerry and Blaire Bryant have joined the JCMR Technology team as the newest additions to the Client Relationship Management and Business Development team. Together they bring an un-paralleled record of success providing business and technology services to many of the top companies in America and Asia. Mary comments ?I am excited to be a part of this innovative and industry leading company. I am fortunate to be joining such a respected company that prides itself on consistently providing top quality service to our clients.? Todd Painter also joined the JCMR Technology team as the newest member of the Engineering Team. Todd is an active student at UNCC and has spent 7 years in the North Carolina Army National Guard, with a combat tour in Iraq. Todd currently serves as Cadet Commander at his unit and will commission in May as a 2nd Lieutenant. Jake Kent, President and CEO said ?Todd?s active service to our country and his commitment to our company have already made him a key addition to the JCMR Technology family. As a former member of the United States Navy, I am committed to being a leading company in investing in our Armed Service men and women. Our increasing demand from our clients led us to look for an addition to our team who would fit with our ethos of innovation and quality service and what better place to find someone of Todd?s caliber than our Armed Services.? JCMR Technology is an IT consulting firm that focuses on the security, collaboration, virtualization and management of Information Technology (IT) for its clients. JCMR Technology works with its clients in varying capacities from advisory services to complete outsourcing. Regardless how engaged Clients choose to be, JCMR Technology is the right Company to work with because of its staff?s extensive IT experience, automation philosophy and strong partnerships with some of the world?s best Security and Management product manufacturers. The Soyuz TMA-06M spacecraft docked at the space station's rooftop Poisk module after a two-day orbital chase. The Russian Soyuz TMA-06M spacecraft as seen from the International Space Station as it approaches on Oct. 25, for docking. A Russian Soyuz space capsule linked up with the International Space Station Thursday (Oct. 25) to deliver three new residents to the orbiting laboratory. The Soyuz TMA-06M spacecraft docked at the space station's rooftop Poisk module at 8:29 a.m. EDT (1229 GMT) after a two-day orbital chase. ?Riding on the Soyuz?were American astronaut Kevin Ford of NASA and Russian cosmonauts Oleg Novitskiy and Evgeny Tarelkin, who are beginning a five-month mission to the space station. "We can see you, everything looks fine,"?Russian cosmonaut Yuri Malenchenko, who was already onboard the station, told the approaching crew before?the two spacecraft docked about 230 miles (370 km)?over southern Ukraine. The Soyuz crew will float inside the space station at about 11:15 a.m. EDT (1415 GMT) during a cosmic welcome ceremony.You can?watch the Soyuz crew's welcome ceremony?live on SPACE.com here?via a NASA TV feed. ?The NASA broadcast will begin at 10:45 a.m. EDT (1445 GMT). "We?ll stay until March," Ford said in a NASA interview before launch. "We?ve got some space station maintenance activities planned, some kind of periodic maintenance that we?ve trained for, but really the emphasis will be on getting the science rolling and getting as much utilization out of the flight as we can." The Soyuz spacecraft is bringing some fishy friends to the space station in addition to its human crew. The spacecraft is ferrying 32 small medaka fish to the space station so they can be placed inside a tank, called the Aquatic Habitat, for an experiment to study?how fish adapt to weightlessness. Thursday's Soyuz docking at the space station kicks off a flurry of arrivals and departures at the International Space Station. A robotic Dragon space capsule built by the private spaceflight company SpaceX will depart the space station on Sunday (Oct. 28) and splash down in the Pacific Ocean off the coast of Southern California. The Dragon capsule will return nearly 2,000 pounds (907 kilograms) of science experiment hardware and other gear back to Earth. On Wednesday (Oct. 31), an unmanned Russian Progress spacecraft will launch toward the space station and arrive six hours later to make a Halloween delivery of food, equipment and other Halloween treats. One day later, on Thursday (Nov. 1), Williams and Hoshide will don bulky spacesuits and float outside the space station on a spacewalk to fix an ammonia leak in the orbiting lab's cooling system. Williams, Hoshide and Malenchenko are in the final weeks of their mission to the space station, and will return to Earth Nov. 12. At that time, Ford will take command of the space station crew to begin the Expedition 34 mission. You can follow SPACE.com Managing Editor Tariq Malik on Twitter? @tariqjmalik?and SPACE.com on Twitter?@Spacedotcom. We're also on?Facebook?&?Google+. Intel's taking its 48-core processor and applying it to a field beyond academia: the world of mobile electronics. 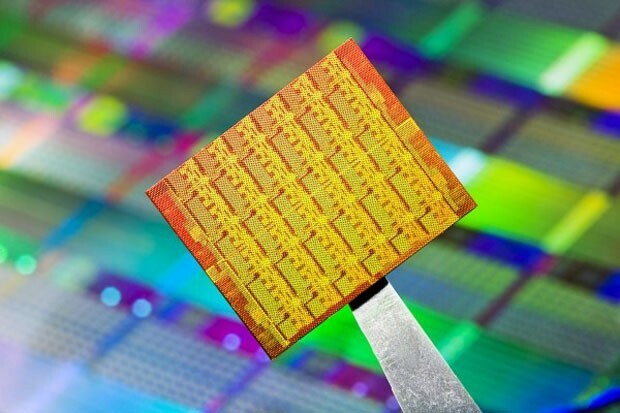 The company this morning announced intentions to slip the 48-core bad boy into future tablets and smartphones (emphasis on future), with CTO Justin Rattner saying the mobile implementation could arrive "much sooner" than the 10-year window predicted by researchers. Aside from the thrilling world of linear algebra and fluid dynamics that the chipset is currently used for, Intel says it could offload processor-intensive functions across several cores, effectively speeding up various functions (say, video streaming). The availability of so many cores also means faster multitasking possibilities than the current dual- or quad-core offerings in modern smartphones and tablets -- just imagine a world where two Angry Birds games can run simultaneously in the background without affecting the paradoxical game of Tiny Wings you decided to play instead. Hey, we understand -- it's just a better bird game. No big. Sadly, few software developers are crafting their wares (warez?) to take advantage of multi-core processing as is, so it's gonna take more than just the existence of Intel's 48-core chip to make its vision a reality. Take that linear algebra to go: Intel's 48-core chip targeting smartphones and tablets originally appeared on Engadget on Tue, 30 Oct 2012 14:38:00 EDT. Please see our terms for use of feeds. Registration for children grades Kindergarten through Eighth Grade is open now through December 14, 2012. ?The league fee is $35 per student, and includes a jersey, pre-draft camp, 9 practices, 8 games and a Playoff Tournament. ?For your convenience, you can register online at www.SedonaAZ.gov/Parks. ?A mandatory Pre-Draft Camp will be held on December 15, 2012 from 10:00 a.m. to 12:00 p.m. at Red Rock High School. Practices will begin in January and will be held once a week on Wednesday evenings.? Games will begin in January and will be held on Saturday mornings. All games and practices are held in the gymnasium at Red Rock High School, 995 Upper Red Rock Loop Road. ESA is seeking volunteer coaches for all ages of G-League basketball. ?Interested? ?Please email gleaguesport@gmail.com, or call (480) 518-0884. SAN FRANCISCO (Reuters) - Facebook Inc's Silicon Valley headquarters are far away from the eye of Hurricane Sandy, yet for employees of the social networking company, the storm hit home. After nearly six months of watching helplessly as the value of Facebook's stock crumbled, Facebook employees finally got the greenlight to cash in some of their stock on Monday as the "lock-up" on trading them expired. Unfortunately, any would-be sellers will have to wait a little longer, as the New York Stock Exchange and Nasdaq were both closed on Monday because of Sandy, the exchanges' first weather-related shutdown in 27 years. Both exchanges said they would remain closed on Tuesday as well, pending confirmation. Roughly 234 million shares of Facebook stock owned by company employees were eligible for trading on Monday. Facebook had moved up the lock-up expiration date for employees by a few weeks, a move that analysts said could help bolster morale among the company's rank-and-file who have been unable to sell shares even as other insiders and early investors have sold. The end of the employee lock-up also comes as Facebook's stock has been on the rise, gaining more than 12 percent last week after the company reported better-than-expected quarterly results. Facebook shares closed Friday's regular session at $21.94. The world's No. 1 online social network became the first U.S. company to debut on the public markets with a valuation of more than $100 billion. But Facebook's May initial public offering has been marked by a series of setbacks, including a glitch with the Nasdaq on its first day of trading and controversial revelations that the company had pre-briefed analysts for its underwriters ahead of the IPO, advising them to reduce their profit and revenue forecasts. Shares of Facebook, which were priced at $38 in the IPO, declined to as low of $17.55 in September as investors fretted about its slowing revenue growth and limited mobile advertising revenue. 'I got things on it that's so out of this world that it's taking so long to get mastered,' Rocky said about Live.Love.A$AP. NEW YORK (Reuters) - U.S. stock exchanges and Wall Street banks are sending employees into Manhattan on Sunday to stay in hotels and coworkers' homes, as markets prepare to open for business on Monday even as Hurricane Sandy brings public transportation to a halt. Hurricane Sandy is expected to slam into the East Coast on Monday night, bringing torrential rains, high winds, severe flooding and power outages, forecasters said. The rare "super storm," created by an Arctic jetstream wrapping itself around a tropical storm, could be the biggest to hit the U.S. mainland. New York's subway, bus and rail systems will suspend service by 7 p.m. EDT on Sunday (2300 GMT) which means there will be no public transportation into or within the city. About 8.5 million commuters use the Metropolitan Transit Authority's rail, bus and subway lines daily. New York City Mayor Michael Bloomberg closed public schools and ordered an evacuation of 375,000 people in coastal areas including the Battery Park neighborhood, just a few blocks from the New York Stock Exchange, City Island in the Bronx and Staten Island. Spokesmen for NYSE Euronext and Nasdaq OMX Group said they still planned to open exchanges for trading on Monday, but would monitor the situation for any changes. The New York Stock Exchange has arranged accommodations for essential staff near its lower-Manhattan headquarters, while other employees have been encouraged to work from home or alternate locations, said a person familiar with the situation. "Everybody on Wall Street has hotels booked for essential personnel," this person said, adding that the stock exchange would need several hundred people, compared to its usual 1,000, on the floor to keep trading going. "The word going around the floor on Friday was people should expect this to happen. In the event the exchange does not open, they will trade electronically though," said Ken Polcari, managing director for ICAP Equities. "If that happened, it's probably going to be very muted volume," he said. A spokesman for Goldman Sachs , whose office is located within the evacuation area, said the firm has plans in place to ensure the safety of its people and that operations continue. Representatives of other large financial institutions, such as Citigroup Inc and JP Morgan Chase , described similar plans. The NYSE has not had to delay the open for a weather-related issue since a blizzard hit the New York area in January 1996. In August 2011, officials feared Hurricane Irene would flood lower Manhattan and cripple business in the world's financial capital. Wall Street firms activated contingency plans and New York City ordered evacuations in lower Manhattan and shut down its mass transit system on a Saturday night in anticipation of the storm. But the flooding was minor and there were no major disruptions at the exchanges. Before the storm passed, however, NYSE officials said while they planned to open, the final decision hinged on whether city subways were running and whether New York Harbor waters flooded low-lying downtown. Flooding is one of the more likely worst-case scenarios that forecasters see as Sandy pushes water onto land Monday evening. Sandy's storm surge has the potential to flood New York city's subway system if the storm arrives at or near Monday evening's high tide around 9 p.m. EDT (0100 GMT), according to hurricane specialist Jeff Masters, who writes a Weather Underground blog. Monday is also a full moon, which creates an extra-high tide. The NYSE has a backup power generator and said that should it have to shut down floor trading at 11 Wall Street, all NYSE-listed securities would trade on NYSE Arca, the company's fully electronic exchange. NYSE's servers are located in Mahwah, New Jersey, while Nasdaq has servers in Carteret, New Jersey. "Preparations are in place for our U.S. markets to operate normally on Monday. If conditions change, notifications will be posted," the New York Stock Exchange said in a statement on its website. Nasdaq OMX also said it has plans in place to ensure markets operate normally on Monday and Tuesday. Both exchanges are in contact with trading firms and regulators, which include the U.S. Securities and Exchange Commission and the Financial Industry Regulatory Authority (FINRA), about the potential impact of the storm, said people with knowledge of the plans. The Securities Industry and Financial Markets Association said it has not made any recommendations to close on Monday. "SIFMA is currently monitoring the storm's projected path and we are in contact with public authorities and our members as we assess the possible impact of the storm to the financial services sector within the NYC area," SIFMA spokeswoman Katrina Cavalli said on Sunday morning in an e-mailed statement. Some financial industry events have been postponed. The SIFMA Internal Auditors Society Annual Conference scheduled for Monday and Tuesday in New York has been delayed to December. The Bond Buyer's 501(c)3 SuperConference which was to take place October 28-30, will also be postponed. 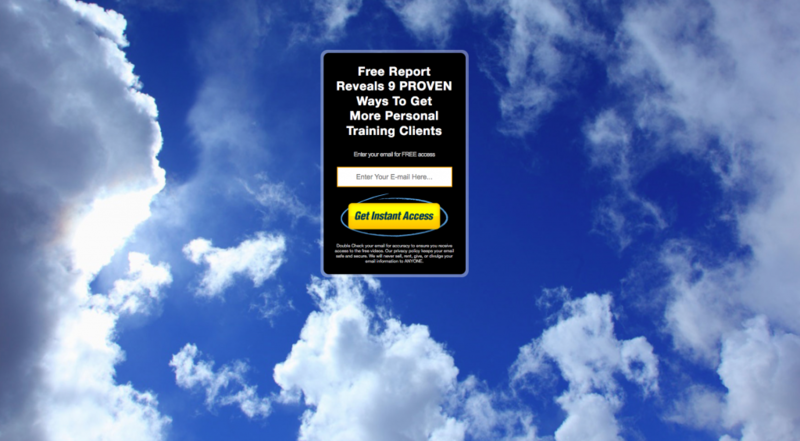 Ever wonder what it would feel like to just be handed all the information on your family?? You know, kind of like what happened on episodes of Who Do You Think You Are? and Finding Your Roots:? family trees, death certificates, photographs, military discharge papers, what have you.? But that never really happens, right? Over the years it has become a running joke between us.? Every so often, a family member contacts her and says, "Oh, I'd like to send you a copy of all the research I've done."? Then she receives another well put together and well documented part of her family tree, often with supporting materials.? She already has several copies of different trees and boxes of original letters and documents from both sides of her family. She was just given another bonanza. She received two large envelopes full of documents and a USPS Medium Flat Rate box of photo albums and loose photos.? Most of the photos are even labeled! Carol's aunt (her mother's sister) collected all of this information.? She has moved to assisted living, and the aunt's daughter had to clean out the home.? This cousin talked with her brothers and her own children, but no one wanted all of the genealogical stuff.? Rather than just throw everything out, she asked around the family to find someone who did want it (hooray!).? Carol got all of this because, unlike her friend, when these items needed a home, she recognized their value. What was that?? No, of course I'm not jealous.? Whatever made you think so? Changing your diet into low carb meal can be such a tough decision to make or at least try to stick with it. The main reason why you should eat or changing your diet with low carb meals is how it helps you living a healthy life through naturally healthy low carbohydrates meals. Low carb diet becomes much more popular lately due to its abilities to help people get rid of the fat out the body while creating overall fitness of healthy body. However, it is not that easy for most people to find tasty choices of foods that low in carbohydrates and that is why you might have to stick with me. The low carb diet puts the attention in restricting the amount of carbohydrates over the meals. Through this point, you will be able to encourage the body to use your fat stores as energy instead of the carbohydrates in food. It is not a simple task to accomplish for you to find low carb food because simply most food producers and supermarkets focus on calorie or fat content. In order to get rid of the fat through the diet, the most crucial key is to limit calories and increase exercise. Consuming a variety of natural low in carbohydrates foods will allow you to eat a healthy diet that?s tasty and also good for you. As you decide to go with low carb diet, it is not only about changing your eating habit, but also its structure into a different way even though finding the right meals is kind of hard. In reality, many foods can be used for meals, in recipes or for snacks, when you?re trying to maintain a diet that is low in carbs. However, you all know the fact everybody is different, which also means that certain foods won?t work well for all people. Due to that kind of fact, you might have to go with the most popular foods for the low carb diet, like vegetables and fish as examples. Fish might be a good example of low carbohydrates meal, but it?s not the only choice toy have here. As you are looking for something tasty, fruits should be the answer. You have to get fish in your diet at least two or three times a week. You have plenty variations here as you easily get bored with same meals every week. You might try orange roughy, Alaskan halibut, trout, tuna, sole, herring, sardines, wild caught salmon, sea bass, cod and mackerel. Shellfish also are good for your diet or for the seafood lovers; you should try scallops, crab, shrimp, oysters, clams and lobster. Fish is a perfect natural alternative low carb diet that has a quiet good taste. Poultry like chicken, duck, pheasant, turkey, quail, goose, including their eggs can be included as your low carb dietary plan. These meals basically are having zero carbohydrates which good to help you get rid of the fat. High protein sources, like Red meats are important staple in low carbohydrate diets. This type of meal offers enough protein for a healthy diet. You could also go with Lamb, venison, or deer meat. Those are example of low carb foods you could use to help you lose weight as long as you keep the ratio of low carb foods you consume combined with other natural protein-based meals. This entry was posted on Sunday, October 28th, 2012 at 8:21 am	and is filed under Food, Healthy Diet, Home. You can follow any responses to this entry through the RSS 2.0 feed. You can leave a response, or trackback from your own site. With the Internet, you?re able to? Sure, you probably have a website up, maybe you?ve messed around a little bit on Facebook and even built yourself a small email list for yourself? 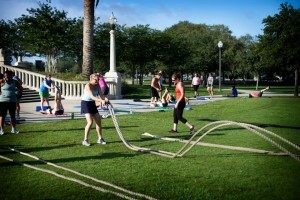 Whether it?s getting more clients for your local personal training business, fitness studio or boot camp?
? 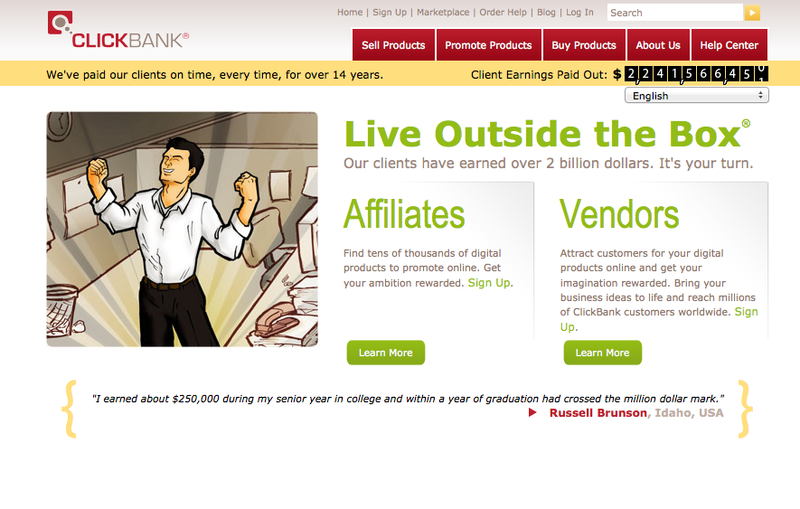 Or launching your own info-products, membership site, software, supplement line, online training or coaching program? there?s simply NOTHING like the Internet when it comes to ? I went from spending my 20?s bouncing in and out of jail, periods of homelessness and mostly un-employed, and when I did have jobs, it was almost always under $10 an hour?
? To in my 30?s.. because of the internet? - Helping people all over the world ? and ? Now, when it comes to selling information, there?s three big markets..
Health and fitness is one of the biggest markets there is!!! Now, the reason the page looks like that is because squeeze pages like this work! In that one, I used a few simple Kajabi template squeeze pages, BTW I use Kajabi in most launches these days, they just make it really easy to create squeeze pages, sales pages and membership sites? plus it?s user friendly, here?s my affiliate link if you wanna check it out? I actually make nice money promoting Kajabi as an affiliate and have for a few years? each month that money plops into my bank account from them? mostly because of the promotion I did for them a few years back. 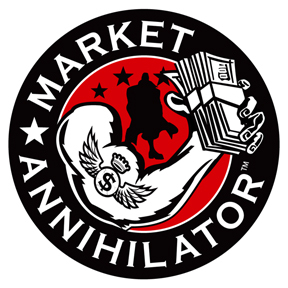 Affiliate marketing is a great way to make money... you promote other peoples products or services, and get a cut, usually between 30% and 75% right off the top? all for sending a few emails. 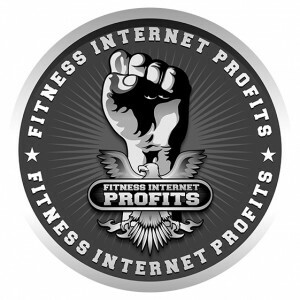 The Fitness Internet Profits launch is gonna go like this? You give out this information in the form of ethical bribes? free video, ebook, software or ______ that does ________. What it does for them is much more important than what it is. You have affiliates ? other people who have lists of your audience, all mail to the squeeze pages. You get the emails to add to YOUR list, and a cookie is placed on that persons computer they sent over, so if the person buys your product when it comes out after your series of ethical bribes, the affiliate gets a commission. AND? you get to build up some nice hype? or should I say ?buzz? in the market place, before you release your product. Kind of like when you see a release for Batman 7 or something? everyone knows its coming out, everyone?s talking about it and there?s huge lines waiting to get in on opening day. In launching a product, I typically do it like this? 1. Figure out where there?s a need... for this product it?s the need of fitness professionals to better understand the internet so they can make more money? be it get more clients from the internet, or tap into the global online marketplace and sell info products and/or affiliate products, fitness software, supplements, you name it. 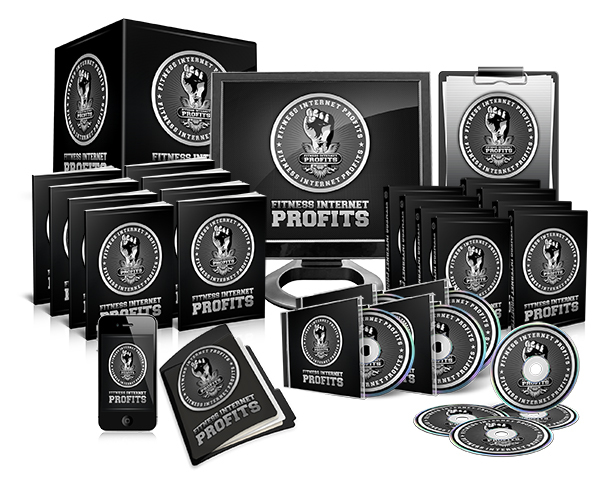 Helping them understand all things internet marketing that apply to them. A lot of what the mainstream internet marketers teach has nothing to do with selling fitness online, in fact most of it doesn?t. So there?s a definite need of fitness pros who want to make more money, to be able to do this stuff? and a lot of em? know it. 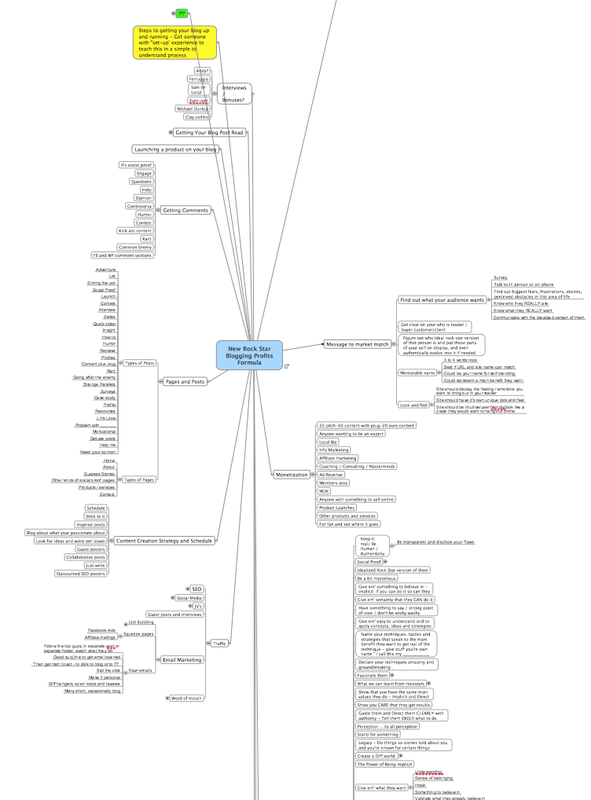 During the launch process I typically mind map out the following? 3. Alert Affiliates ? I typically have between 5 and 10 big affiliates and a few minor ones? They get an email from me about 3 to 4 weeks before the dates I wanna launch, checking to make sure no one else is launching anything big for the target dates and then letting them know they can ink the official launch dates into their calendars. 4. Come Up With a Name ? I?ll typically write a whole bunch out on a yellow pad, run it by a few of my internet marketing friends and then go with my favorite. The logo was about $75 of the expense and the product graphics about $50, and $25 was like a tip. 8. Write Copy ? I actually start writing the sales copy way back at the beginning of this entire process, but don?t finish until near the end. The copy is one of my favorite things to do, and I re-purpose chunks of it in blog posts ( like part of the intro for THIS blog post you?re reading right now), as well as for emails for my list and pre-done affiliate swipe emails. 9. Create Pre-Launch Blog Posts ? Just like this blog post you?re reading right now? Not sure if you?re ever purchased anything from me before, but if you have, chances are after you made the initial purchase, I offered you something else? like McDonalds offering you fries with that burger, or with your lean chicken breast salad if you?re eating clean. It?s not by accident that they do this, they know the best time to make a sale, is right after you just made a sale. Same thing? now this works best if the 2nd purchase enhances the first purchase, making it work better or making it easier to use. Often times I double the money made on a launch by offering a few simple upsells, especially if they?re available only during the checkout process and you let the buyer know it. 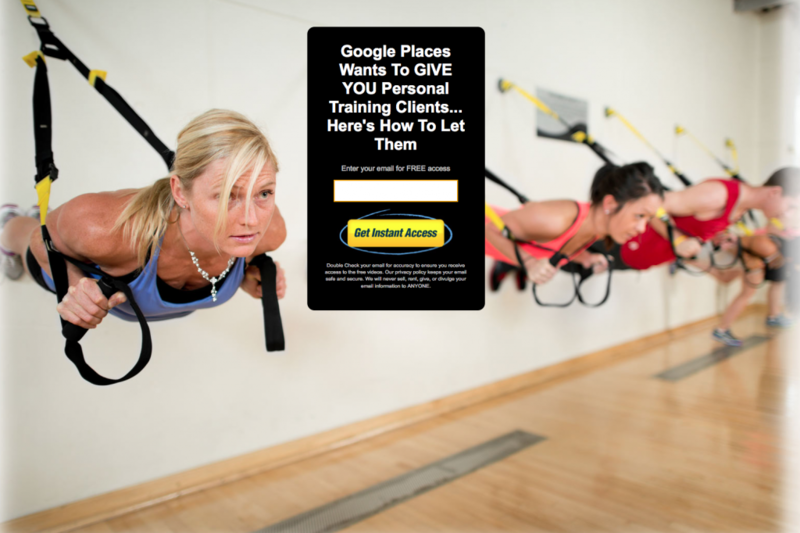 For example, on a recent launch I did for Fitness Contests and Challenges with Adam Mckenzie, I offered a Platinum Version of the program, with 3 done-for-you fitness contests laid out step-by-step by Adam. 12. Plan Scarcity ? 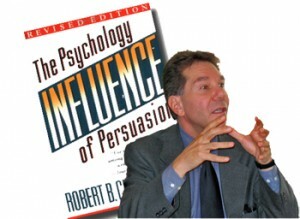 Plan out what goes away for people who don?t purchase during the initial launch phase? like? At this point in time I?m not sure what the scarcity plan is? Now, I gotta be brutally honest here? HOWEVER, it does get easier each time, and it?s the coolest gig I know of? there?s simply nothing like getting paid to create something that helps people all over the world, and make profits from it 24/7/365? My favorite part is explaining to people what I do when asked ?So what do you do for a living?? They look at you in awe, in shear wonder of how you got into doing something so amazing, most people can?t even fathom that it?s possible? And if you want to? 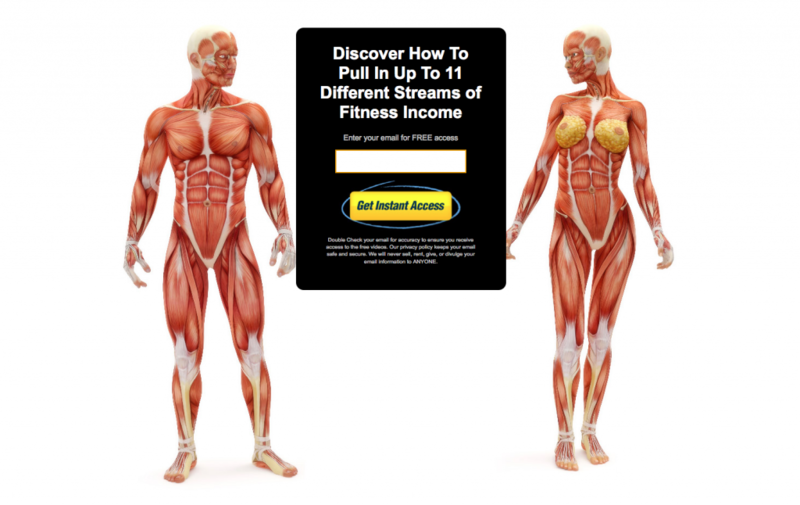 - Make money promoting fitness affiliate products ? like other people?s info-products, meal plans, cook books, fitness equipment, software, meal delivery services, supplements and so on? whether locally or globally? I have many transferable skills and looking for several positions in different fields. I need someone to write sound cover letters for me that will emphasize my skills and draw from my past experiences. You must have experience in writing resumes/cover letters. Please submit your bid for 10 cover letters. ANAHEIM ? A 55-year-old man and his 26-year-old son were expected to recover after being stabbed as they tried to break up a house party early Saturday morning, authorities said. Sheriff's deputies responded at 2:23 a.m. Saturday to reports that an older man had been stabbed in the stomach area and his adult son in the forearm, said Orange County Sheriff's Lt. Joe Balicki. The stabbings took place at a single-family home in the 9600 block of Bienville Avenue, a few blocks east of Magnolia High School in unincorporated western Anaheim, Balicki said. "We have some leads, but haven't made any arrests," Balicki said Saturday morning. "It's an ongoing investigation." The 55-year-old, whose injuries were non-life-threatening but more serious than his son's, was taken to UCI Medical Center in Orange. The 26-year-old was treated at West Anaheim Medical Center. Balicki said deputies responded to the hospitals. Balicki said it wasn't immediately clear if the victims were hosting or merely attending the party, why they were trying to break it up or if both men were stabbed by the same person.. It also was not immediately clear whether the stabbings were gang-related, Balicki said. Balicki said the men were being cooperative and that authorities were interviewing other witnesses as well. It's now clear that Sharp doesn't have an exclusive lock on IGZO displays, even for the big-screen TVs that are still the company's domain. AU Optronics has developed a 65-inch IGZO panel that wields the very light-friendly technology to reach 4K resolutions without the usual penalties -- as the screen doesn't need much backlighting to illuminate all those pixels, it can stay slim and keep the shocking energy bills to a minimum. The smaller size and miserly power draw also leave a real chance that any pricing will be closer to the mere mortal realm than current 84-inch behemoths. 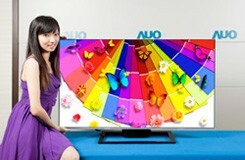 And while it's mostly up to other companies to decide if and when they use AUO's flagship display, we'll have choices of our own should the IGZO TV still be too rich for our blood: the Taiwan firm has simultaneously developed a more conventional, 55-inch 4K screen with a wide color range as well as a 50-inch, 1080p panel with an extra-skinny 0.14-inch bezel. It's at least good to know that there's already competition for technology that's just getting started. AUO develops IGZO-based, 65-inch 4K TV screen, vows high resolution without the high power originally appeared on Engadget on Fri, 26 Oct 2012 12:32:00 EDT. Please see our terms for use of feeds. Overnight storms swat Southeast; 7 hurt in Miss.